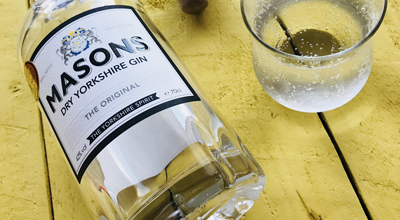 Masons Gin is a wonderful well-rounded gin that is equally delicious served straight over ice or with tonic. We were sent the Original Dry Yorkshire Gin but they also have four other gins in the range retailing at £39.99 (Lavender Edition; Tea Edition; Slow Distilled Sloe Edition; Steve’s Apple Edition). We felt this offered great value for such a good quality, award-winning gin. So, if you are looking for a new gin, try Masons, it’s a fabulous tipple to have ready for the festive season and they also have some Christmas gift packs if you’re looking for a special gift.